PLEASE FOLLOW THE DIRECTIONS BELOW AS GOOGLE MAPS OFTEN SENDS YOU ON AN INCORRECT ROUTE. 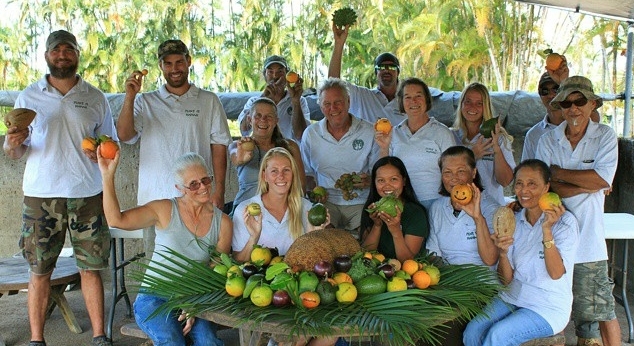 Our nursery is located at 17-4300 South Road in Kurtistown, HI. In Kurtistown, turn onto Huina Road (at the light across from the 76 station). Continue on Huina Road for about 0.8 miles and turn right onto Momona Road. Continue on Momona Road for about 0.3 miles and take the first left onto South Road. Our nursery gate is the first right on South Road. NO APPOINTMENTS OR MINIMUM PURCHASES ARE NECESSARY. WE ONLY ACCEPT CASH AND CHECKS AT OUR SALE. WHEELBARRELS ARE A HOT COMMODITY AT OUR SALES, YOU ARE WELCOME TO BRING YOUR OWN. PLEASE FOLLOW OUR PARKING ATTENDANTS DIRECTIONS. OUR PARKING IS LIMITED, AND WE APPRECIATE YOUR HELP AND PATIENCE.